Home / concert / concerts / Diddy / entertainment / Lil' Wayne / Maybach Music Group / Meek Millz / Music / Music News / Philly Got Next: Diddy Officially Co-Signs Meek Millz! Philly Got Next: Diddy Officially Co-Signs Meek Millz! Philadelphia, PA- Diddy makes a surprise appearance at Lil' Wayne's I Am Music Tour in Philly last weekend. 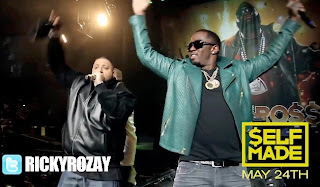 Check out this video to see what Diddy had to say about MMG's newest signee, Meek Millz.